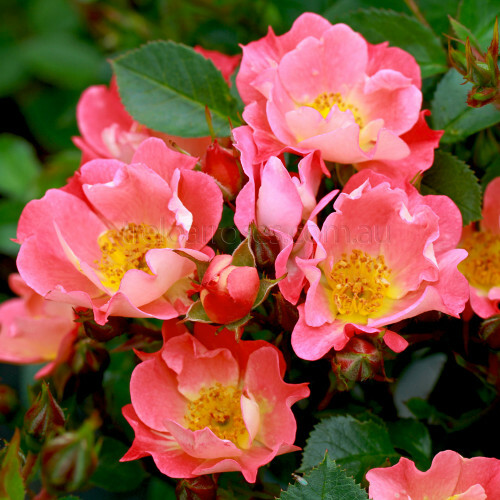 (Korcoeinf) - A mass of salmon coloured blooms cover this mini floribunda. The colour merges from salmon orange to salmon pink in the aged flowers and quickly repeats. The bush is upright and compact with the Kordes healthy reputation. Perfect for pots. 40cm high in most areas.